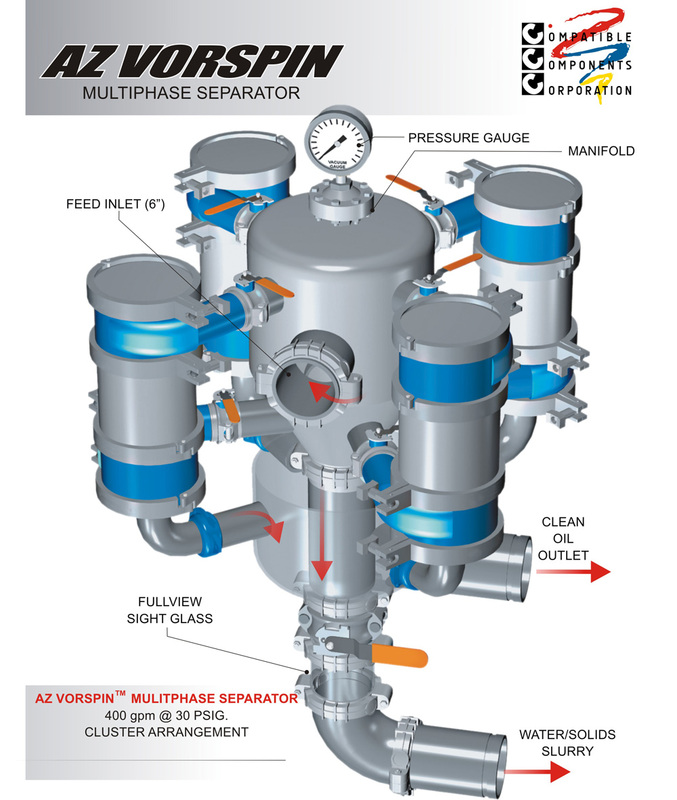 The VorSpin MultiPhase Separator is a density separator utilizing centrifugal force to separator oil, water and solids. 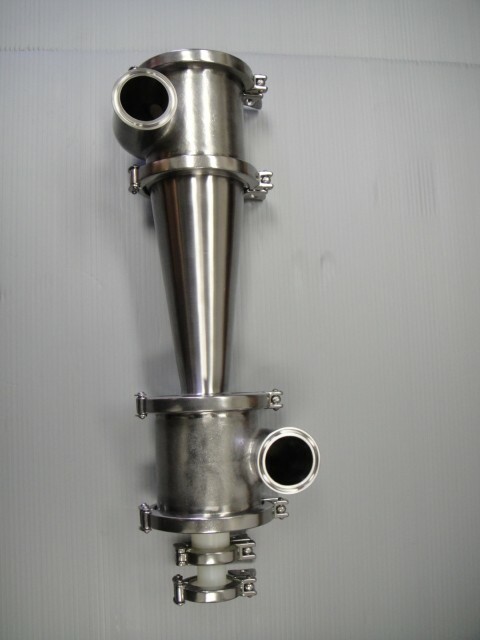 There are no moving parts, the rotational energy is supplied by a positive displacement pump to pressurize the fluid slurry entering the feed inlet to the Multi-Phase Separator.In operation, pump pressure is converted into rotational energy. 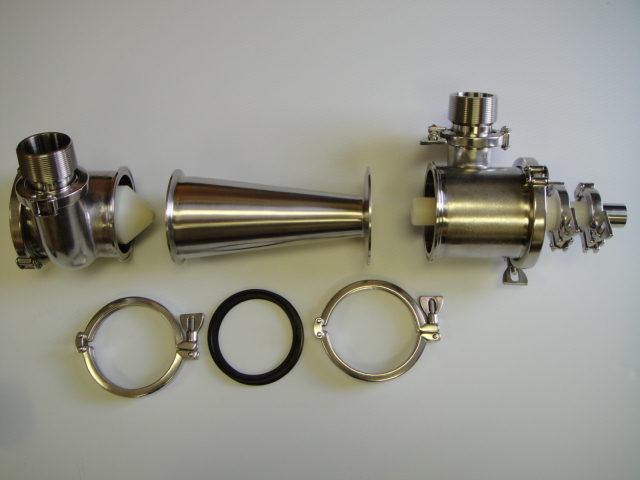 The slurry enters the hydrocyclone as a volute shaped inlet that generates a strong vortex, swirling the heavier material to the wall of the hydrocyclone, while the radial velocity moves the lighter constituents to the center axis. The heavier fractions report out tengentially near the bottom section of the hydrocyclone. 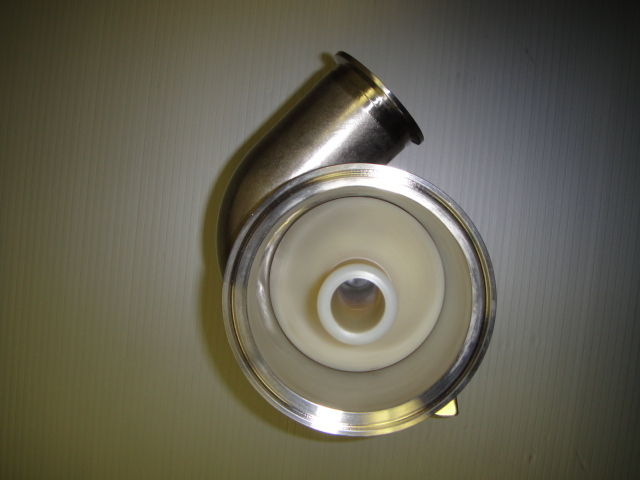 The oil and any particles lighter than water will report out the tube located at the bottom of the hydrocyclone. 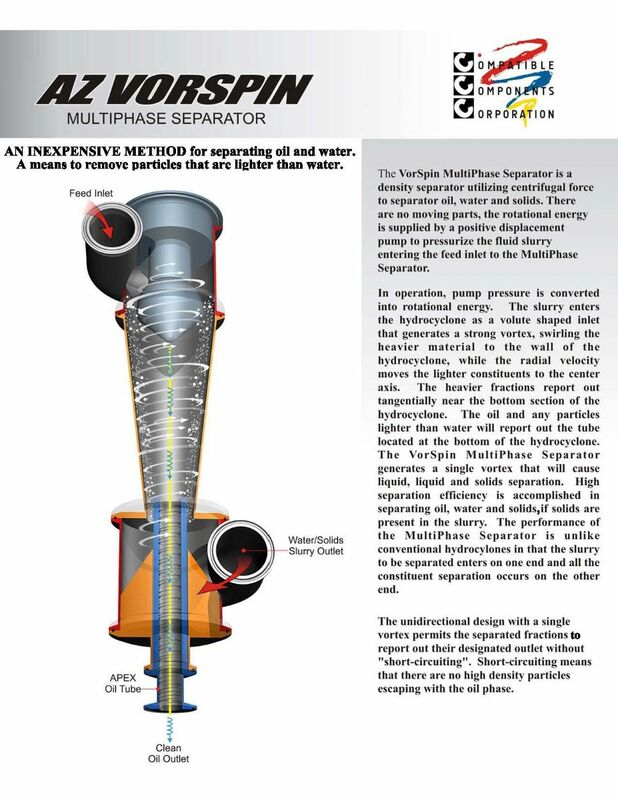 The VorSpin MultiPhase Separator generates a single vortex that will cause liquid and solids separation. 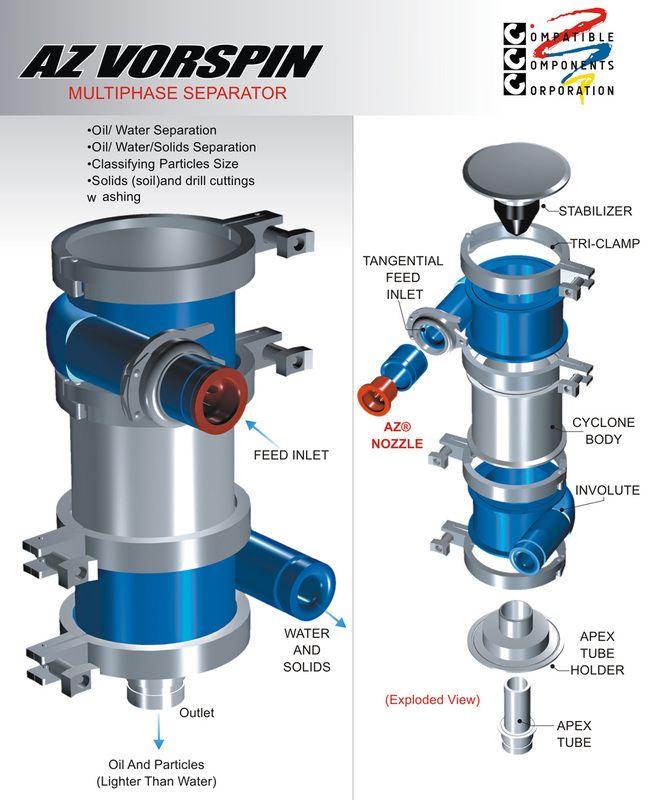 High separation efficiency is accomplished in separating oil, water and solids if solids are present in the slurry. 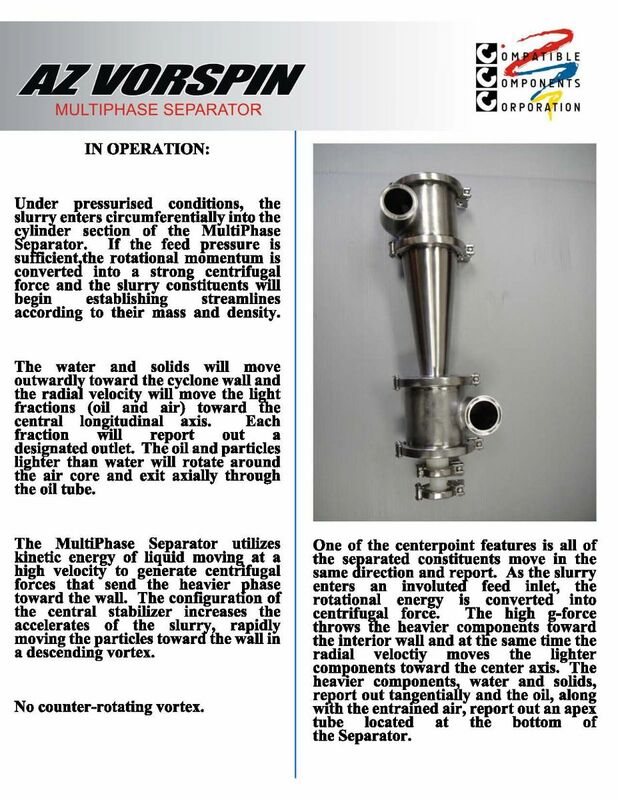 The performance of the Multi-Phase Separator is unlike conventional hydroyclones in that the slurry to be separated enters on one end and all the constituent separation occurs on the other end. The uni-directional design with a single vortex permits the separated fractions report out their designated outlet without “short-circuiting,” particle leakage or particle intermingling caused by opposing vortices as is present in conventional hydrocyclones. 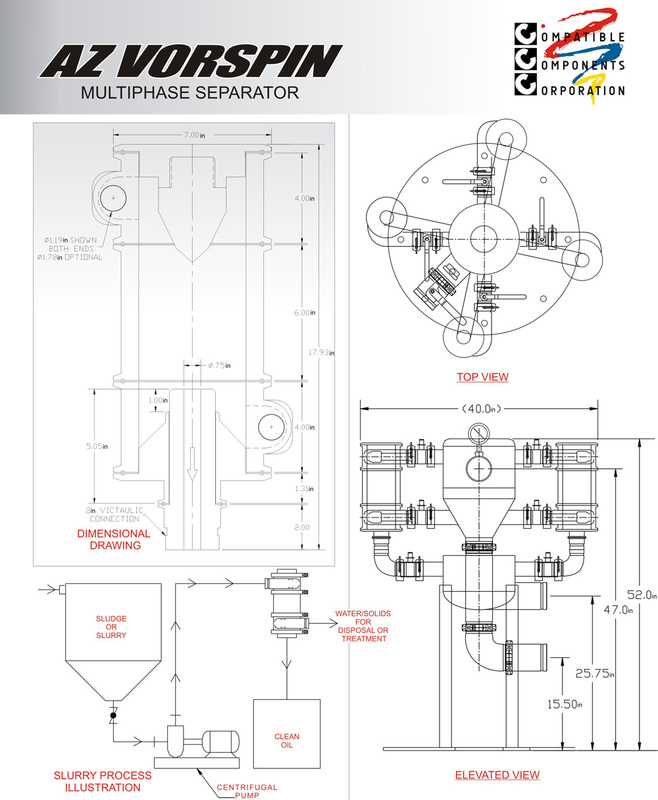 Please click on the links below to access our brochures for the VorSpin MultiPhase Separator.